"The new Acer Chromebook 715 and Acer Chromebook 714 both feature a durable, all-aluminum, impact-resistant chassis that looks great on a front desk for customer-facing settings, as well as on the road with employees making client visits or sales calls. The reinforced design delivers military-grade protection (U.S. MIL-STD 810G compliant) so it can handle drops from up to 48 inches (122 cm) and can withstand up to 132 pounds (60 kg) of downward force. The anodized aluminum chassis stands up to daily wear and tear, resists dents and bending, and wards off dings, chips and corrosion to maintain the high-end look and feel," says Acer. 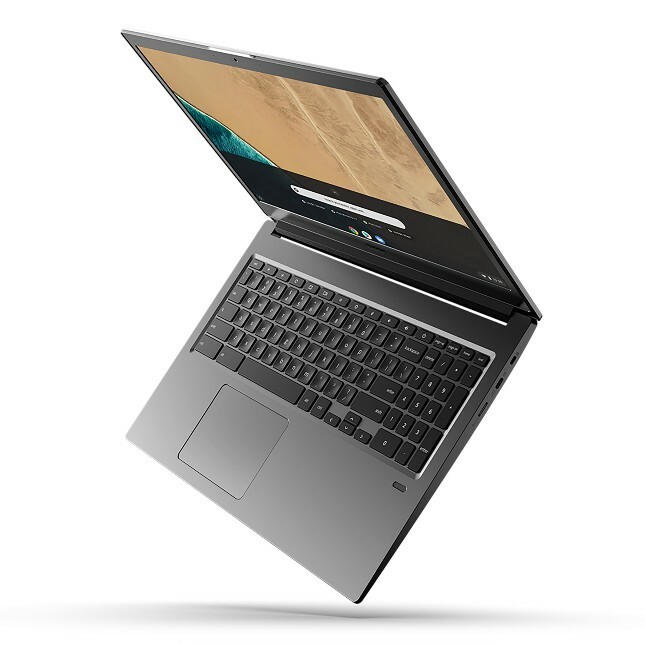 The value-focused manufacturer further says, "The new Acer Chromebooks have a USB 3.1 Type-C port on each side so they can be connected to devices and charged from the side that’s most convenient. The ports can be used for quick data transfers, connecting to an external display, and for charging other devices. Both new Acer Chromebooks also have a USB 3.0 port and a MicroSD card reader. 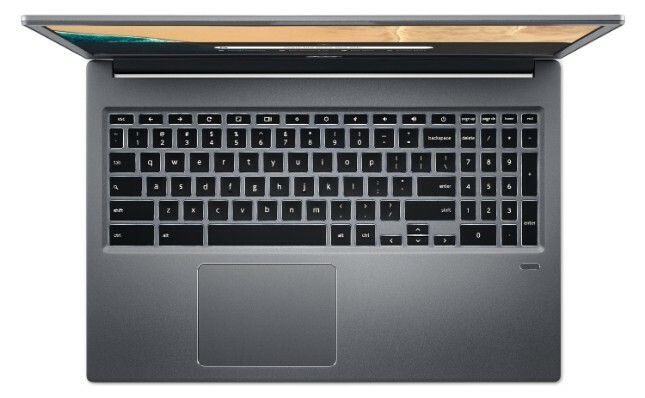 The Acer Chromebook 715 and Acer Chromebook 714 provide fast and reliable Dual Band Wireless-AC 802.11ac/a/b/g/n 2x2, while Bluetooth 4.2 delivers a convenient connection to peripherals." James Lin, General Manager, Notebooks, IT Product Business, Acer Inc. offers the following statement. 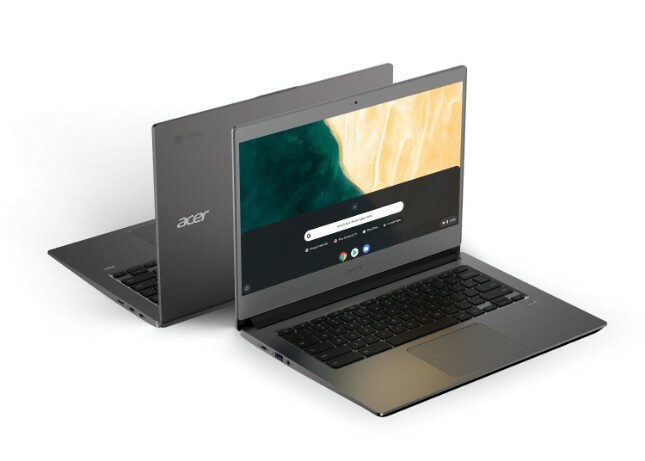 The addition of a premium durable chassis and integrated fingerprint reader onto the latest Acer Chromebooks enhances the security and reliability of these devices. Employees of all types -- whether in a corporate office, small business, or an educational setting -- need reliable, powerful PCs that help protect their data, perform well, and look great. These new Acer Chromebooks fit that bill. Both the Chromebook 714 and 715 will be available for purchase in July 2019. They share the same starting price of $499, but keep in mind, the cost will go up based on specs. Believe it or not, there will be no 4GB RAM option -- 8GB or 16GB only (much respect, Acer!). Storage will be eMMC only, sadly -- there is no faster SSD option. Capacity choices are 32GB, 64GB, and 128GB. Acer will also be selling an official USB-C dock, but the price has not yet been disclosed. Keep in mind, however, any such third-party dock should work fine too.